Testimonials are more important than ever to a business’s reputation. Acquiring them can seem like a chore at times, but that’s not where the responsibility ends. Once dentists and surgeons receive online patient reviews, it’s in the best interest of the practice to respond to them—good and bad. 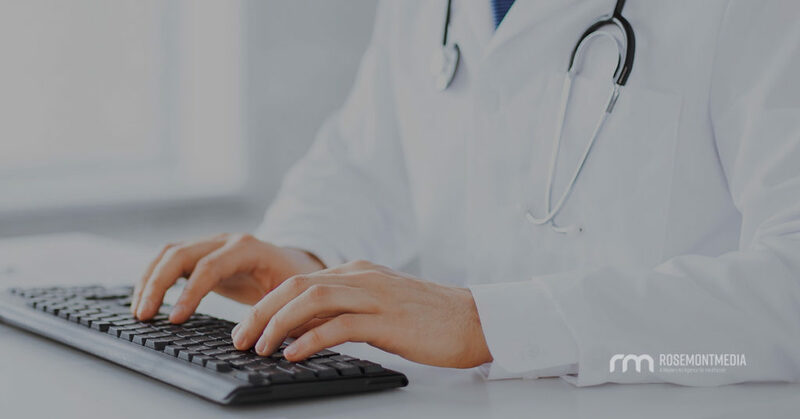 This process can be a bit more complicated for doctors than for other business owners, but Rosemont Media can provide guidance at every stage to ensure you come out looking professional, honest, and considerate in every response. Why Should Doctors Respond to Patient Reviews? We talk about reviews, and their evolving significance, a lot around here, and not just because having patients recommend your services in writing feels nice—it does, of course. But still more substantially uplifting for your professional online reputation is the boost in ranking. Per the support page on Google My Business (GMB), Google now expects business owners and their proxies to interact with user reviews, and the search engine powerhouse weighs this factor as part of its ranking determination. According Moz’s analysis of the Google Local Rankings Survey, in 2018, reviews accounted for about 15 percent of how Google decides to rank businesses in the local pack (that’s the graphic of the map and list of three businesses you sometimes see at the top of a search result page). That’s up from around 13 percent in 2017, and 2019 will likely see that percentage increase. Fifteen may not seem like a high number, but it makes reviews the third-most important factor, ahead of on-page signals (keywords in titles, for instance), personalization, and social signals (like Facebook engagement), in ranking metrics. Do You Have a Review Response Strategy? Aim to show these qualities in every comment and you’re likely to maintain great relationships with your patients while attracting new ones at the same time. Should You Respond to Negative Reviews? Positive testimonials are naturally easier to respond to than negative ones—after all, who doesn’t love praise? But it is becoming necessary to address critical comments as well. For doctors, this can be particularly dicey with HIPAA compliance considerations. You never want to reveal a patient’s health history in order to refute a claim in a review, no matter how inaccurate that claim may be. In addition to the four goals above, negative reviews benefit from responses that are also apologetic and dedicated to problem-solving. Stay calm, address the concern as much as you legally can, and be professional. Surgeons and dentists that follow through on this approach may or may not change the mind of the patient who left the poor review, but potential patients who see this interaction are more likely to respond warmly to an engaged, thoughtful, and authoritative source. Think of responses to testimonials as a two-pronged approach to establishing a lasting reputation. Thoughtful comments on positive patient reviews yield short-term wins. Adept responses to negative notes yield long-term wins. How Can Rosemont Media Help? Crafting thoughtful, professional, empathetic, and occasionally apologetic responses to online reviews requires a great deal of time—time doctors often don’t have. While it is perfectly reasonable to pass this responsibility off to a practice manager or another team member, whoever serves as proxy must have an excellent strategy in mind for staying on target even in complicated situations. And that’s where Rosemont Media can provide assistance. Let us help you develop a plan for every type of testimonial—good, bad, and in between—so you always walk away from an interaction with your reputation intact (or better than ever). Our team of consultants are here to guide you and your office through the modern travails of practice management. Curious to learn more about a patient review response strategy? Contact us to for expert help with all of your reputation needs and concerns. Our team is standing by.